Run by Lynsey Tippitt, in Longview TX, Studio L Salon is a wonderful place to get professional hair and beauty services. It’s a locally loved spot in East Texas and we were so excited to design their new website. Working with the owners was such a pleasure and we are so proud to showcase the final product. We encourage you not to settle for our screenshots which don’t do it justice. Visit the website for the full experience. Wanting to stand out from the crowd, they entrusted us with creative freedom over the project leaving the major design choices to our best judgment. We treated this website as if the business were our own. We work very hard over every detail making sure the website captures their wonderful, fun personality and reflects the quality of the business it represents. When we started, we knew we wanted to feature images of the staff and their salon to capture their personality. In two photo shoots, we shot all the photos of staff and interior of the salon. We had so much fun with the staff who brought playful props to the shoot for a fun animation on the website when you hover over their profiles. 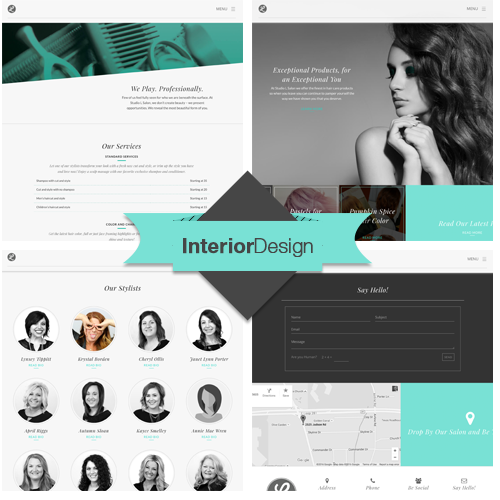 To represent a stylish and professional look, we chose a minimal color scheme, and black & white images that allow their signature turquoise to pop as an accent. We have also included many smooth animations and details that engage a viewer throughout their experience. 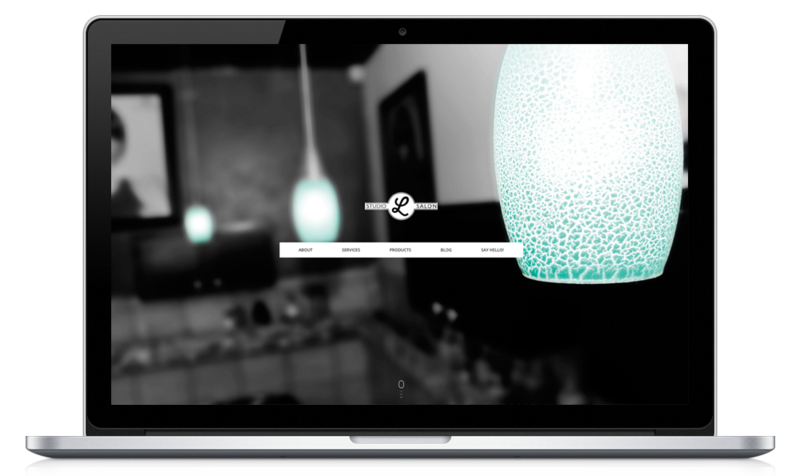 To help stand out from the crowd, we featured a fully custom menu. 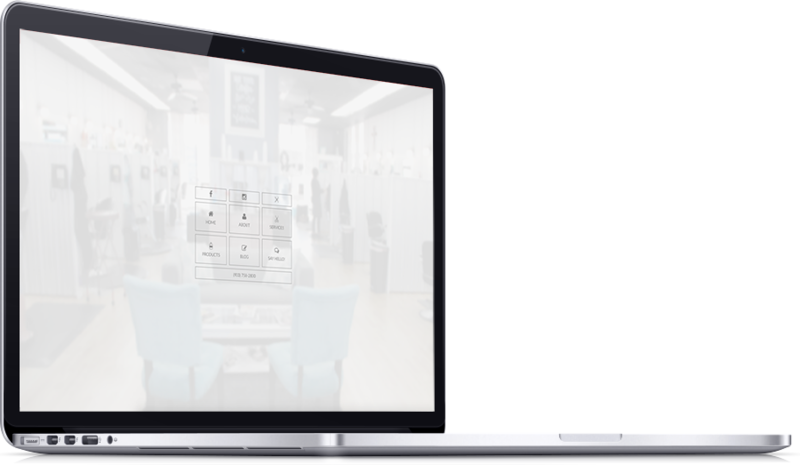 Click on their menu icon for a fun detail that takes you inside their salon with a full screen menu optimized for easy navigation on mobile devices. We worked hard on every last detail of this design. 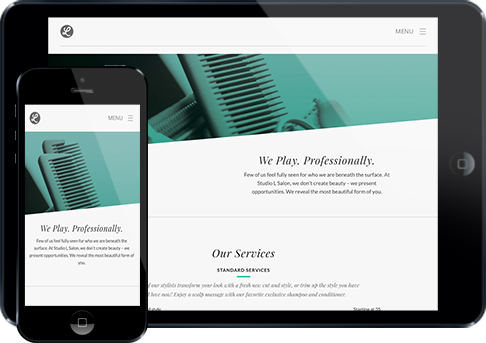 We optimized their site to not only look great on mobile devices, but to load quickly. We encourage you to test it out on your phone. Click the link below, if you need a re-design, or if you want to start from the ground-up.